Genius is a strange case , which keep so rare to find, it is a recessive pheno selected after the crossing of Apollo 11 with our Colombia Punto Rojo. Some years ago the famous breeder TGA Subcool bank decided uncataloged this marvel, which did not understand because it was always our preferred varieties. We got down to work because we had a few packages acquired over the last previous years we could get behind in some grow shops of Spain. 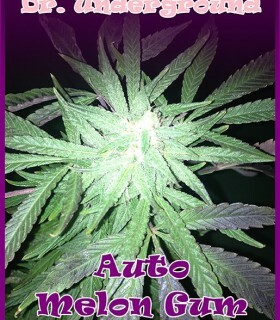 From our great success Melon Gum now we present the automatic version attending the demands of the general public. This lady, which retains the features of the standard version, will be ready between 60-70 days from germination. A work created from genetic OG strong character are you ready to fly? This creation has been a success, the potential of clone Tahoe combined with our Black Star Soul selected produces one effect stronger than you could meet. The study for the creation of Brooklyn Mango started looking for plants with strong smell of Mango with hard rock buds. of rock-hard buds. 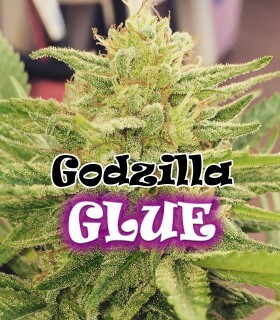 We started using our mother Ed Rosenthal Super Bud, selected from original seeds Sensi Seeds, was chosen for her strong pineapple taste, it is the same mother we used to create the super yielder King Kong. 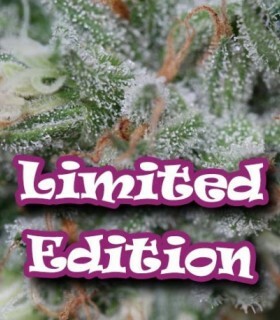 Our prefer strain, it is an absolutely psychedelic experience. This is the opposite of our Painkiller, while the Painkiller is for medicinal use, Crystal is for fun, laughing and go the reality to a higher level of understanding and knowledge, you will realize many things before imperceptible. Girl Scout Cookie (Thin mint cut) x Original Diesel ( Daywrecker cut) AKA Headband. 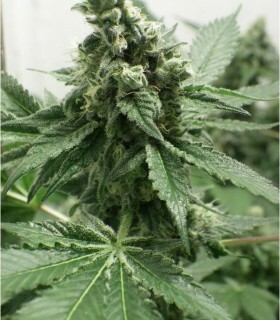 We talk about a superproducer at all levels, dried flowers, resin, branches ... this plant is a beast in every sense. 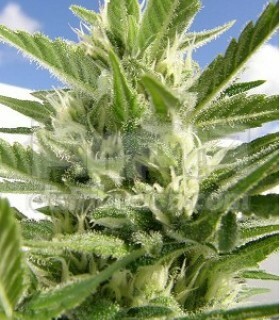 Resin, speed and yield are the main values of this plant. 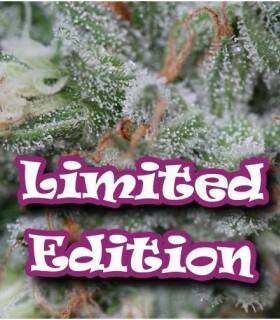 We use our Ed Rosenthal Super Bud mom with an extreme sativa production, pollinated by our selected Chronic reversed, resulting in a rapid flowering plant, a lot of resin and large productions. 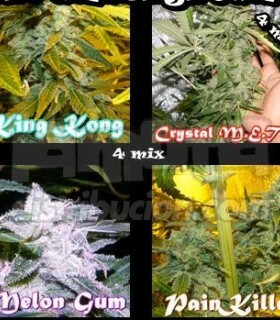 The idea was born from a conversation between friends about production and quality, we simply wondered... What would come out of our best King Kong with one of the best Ak-47 cuttings selected from original Serious Seeds seeds? because we wanted to check it and when we tried the result... we couldn't just leave it on the air, so here it is for everyone. OG Kush (tahoe Cut) x Original Diesel ( Daywrecker cut) AKA Headband. We are talking about a hybrid created exclusively for medical use, perfect for increase appetite, reduce nausea and provide you with clean and fresh rest when you sleep. The next day you will wake up in perfect conditions. Soul Star ( Dr. Underground cut) x Original Diesel ( Daywrecker cut) AKA Headband. 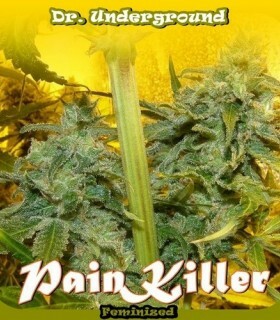 Surprise Killer Mix by Dr Underground Seeds is an assortment with 4 feminized marijuana seeds. This time we have used the famous Tangerine Power cutting with the world famous Original Diesel (aka Daywrecker aka Headband) original cutting, the explosion of terpenes is out of the ordinary and its legendary effect.